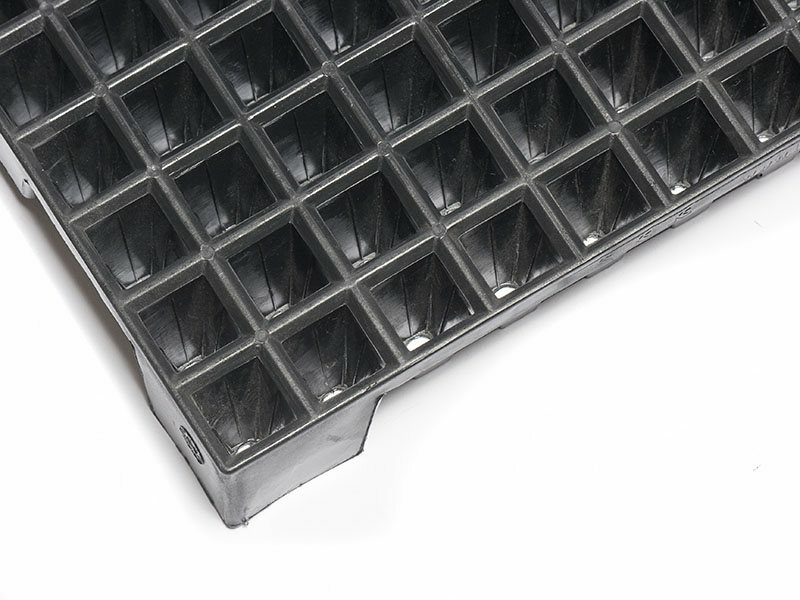 Super long life injection molded design. 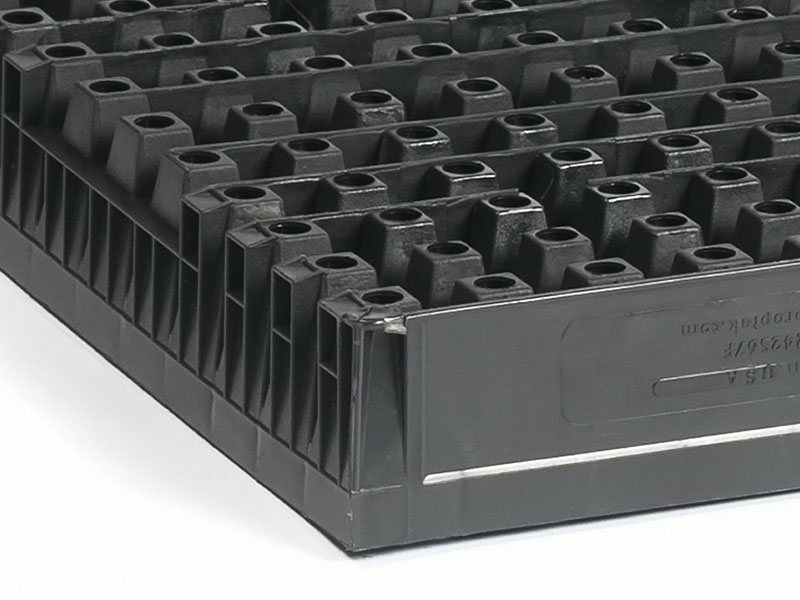 Designed to replace 200 cell Styrofoam tray. 20% more cells but similar plant spacing & cell volume. More plants without compromising on quality. User friendly design for lifting and carrying. Internal root training ribs for excellent roots. Designed for ‘T’ rail benching. 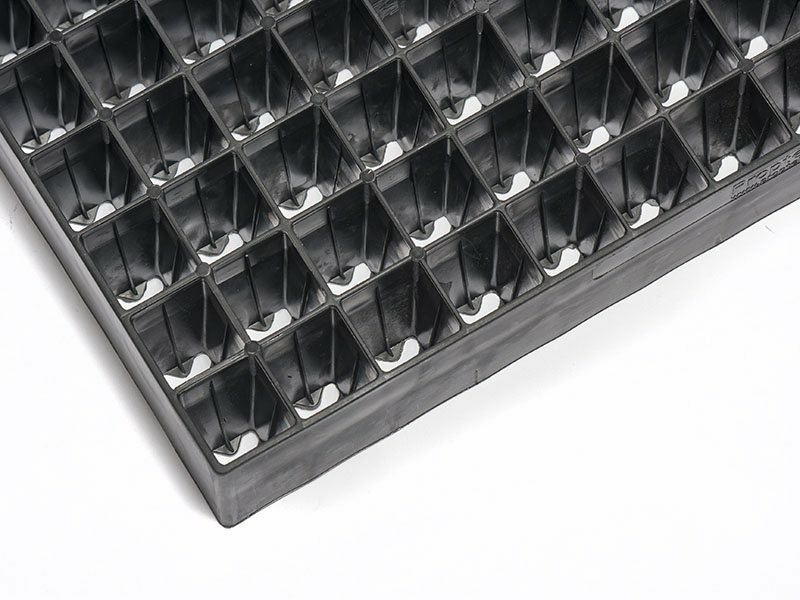 This 242 cell injection molded plastic seed tray has been developed to replace 200 cell Styrofoam trays. 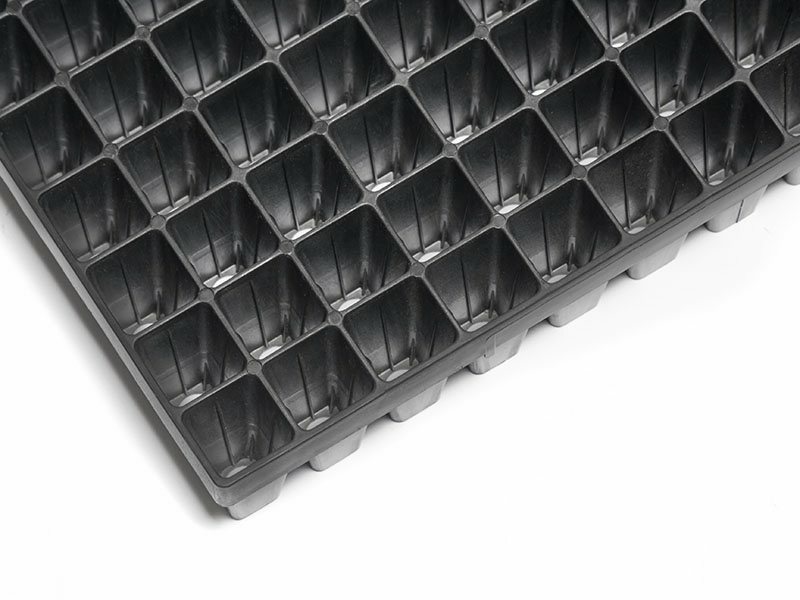 The cell shape and volume are almost identical to the 200 cell Styrofoam tray but with 20% more cells, meaning more plants per square foot. 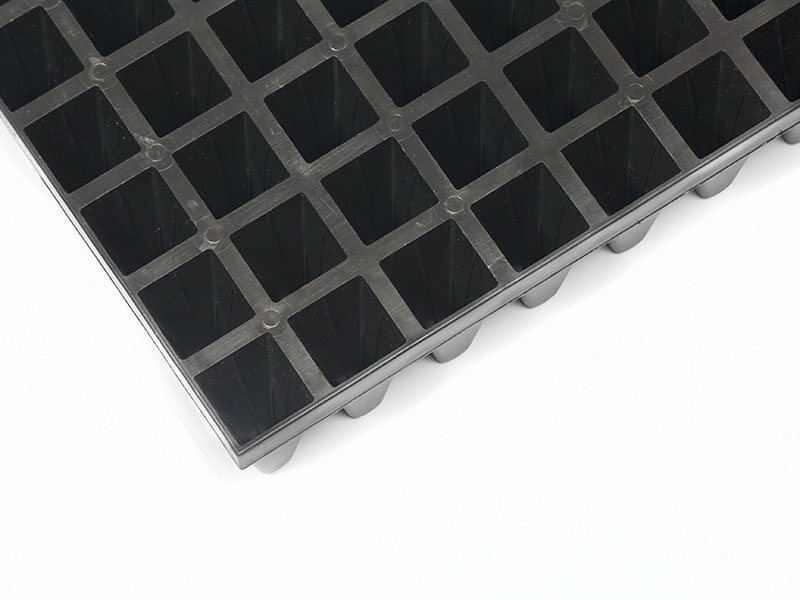 Even though there are more cells in the same space as a 200 count tray, due to the strong nature of injection molded plastic the cell walls can be much thinner, meaning the plant spacing i. e. centre to centre spacing is very similar. 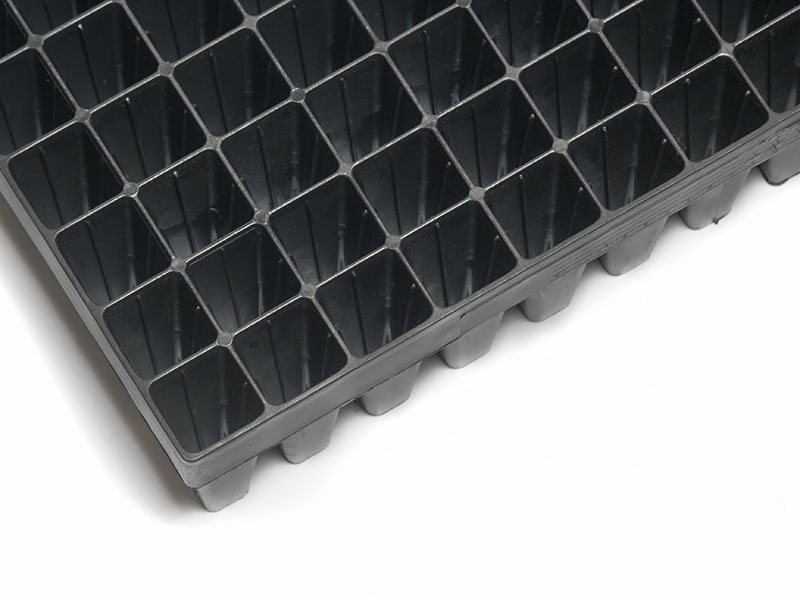 Plant quality is very similar between the higher density tray and the 200 Styrofoam tray and often the difference is very hard to see. 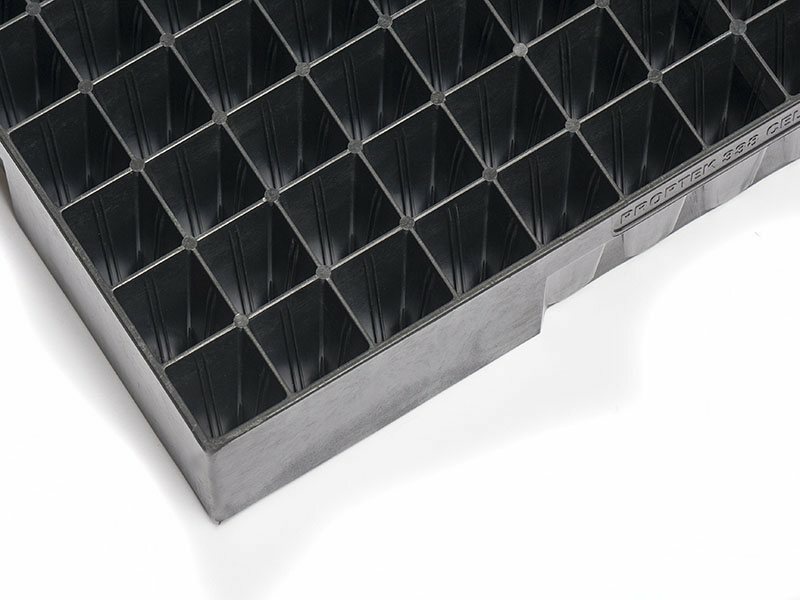 The Proptek 242 also features our patented root technology. Cells have internal vertical root training ribs to guide the roots down to the drain hole. 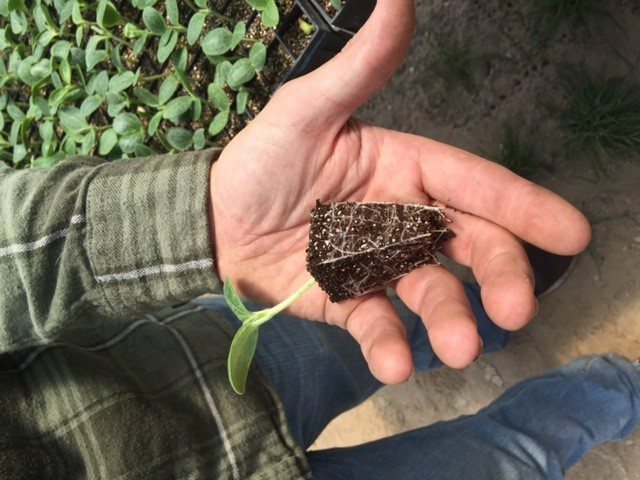 This not only creates excellent roots that make plants easy to pull, it creates a vertical chimney which aids aeration of the root ball and drainage. This all means a higher quality plant that is more likely to survive transplanting and grow vigorously. 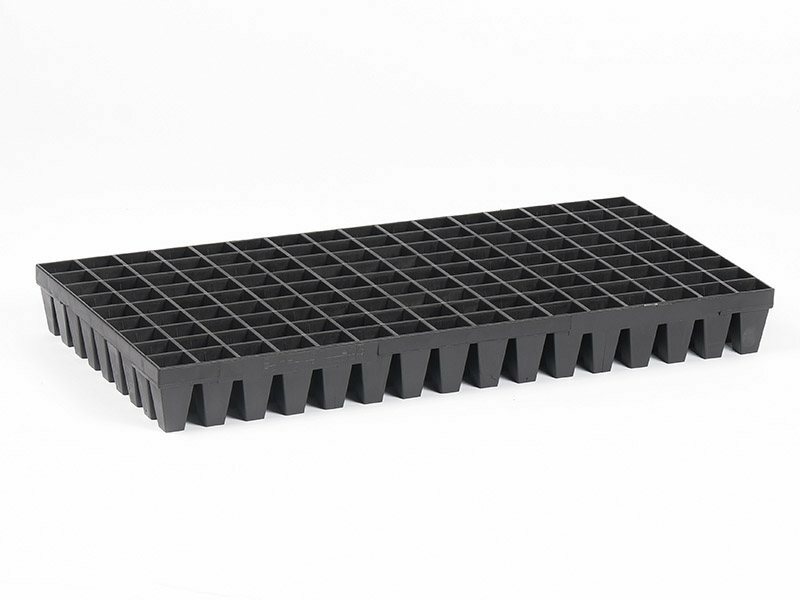 Because of the injection molded construction and superior roots, plants pull very easily to help reduce any potential damage to the seedlings from transplanting. The heavy duty design remains lightweight, but has a long extended working life – usually up to 10 years with multiple cycles per year. 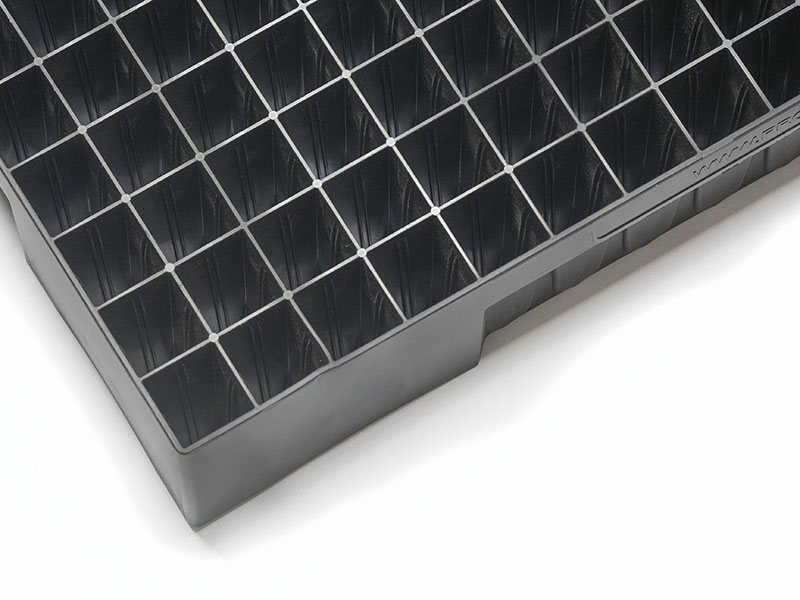 Trays can be steam sterilized with no negative effects on life of tray or plant pulling. 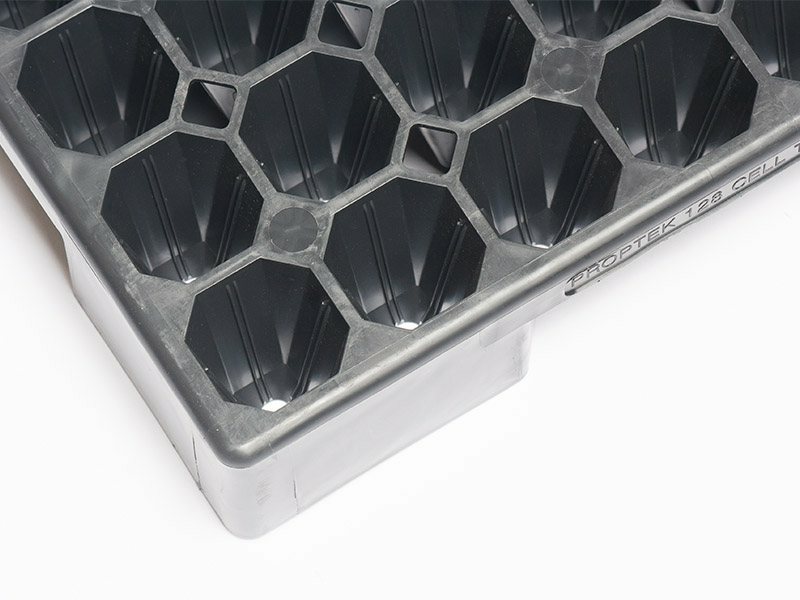 We have been using Proptek propagation trays for decades now and the plant quality is always second to none. The design helps us produce as many plants per foot as physically possible whilst keeping the quality high, which something that is important to us as we are ourselves strive to produce the best we can. 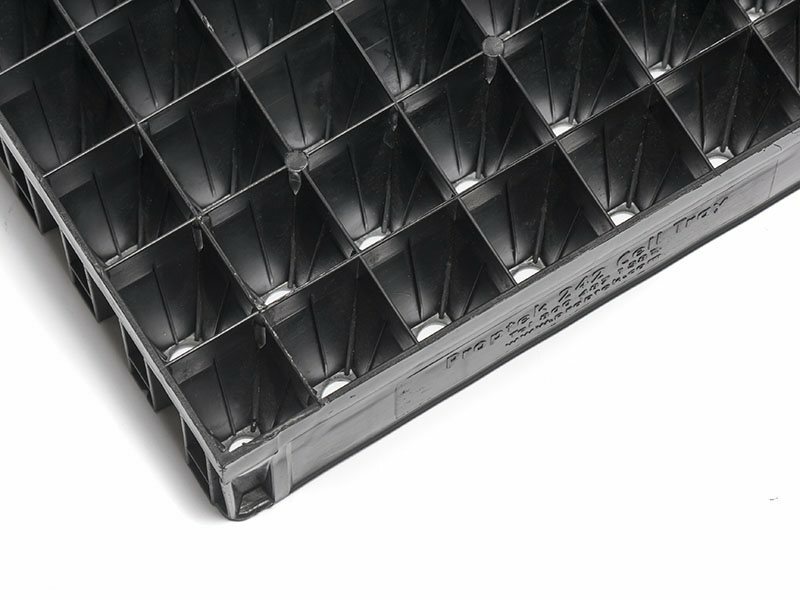 John and the team aren’t just churning out plastic trays – they live and breathe horticulture and have done for years now, so you know you are getting what’s best for the plants. What’s best for the plants is best for us. Proptek’s 234 Vegetable tray produces exceptional results – they are so durable and have served us very well for many years now. Our pepper plants grow quick and strong with excellent roots and pull from the cells real easy too. All in all – it’s a great tray that makes our lives here at King City Nursery smooth and efficient. Our 6-acre vegetable farm is committed to generating as much production with as little waste as possible. 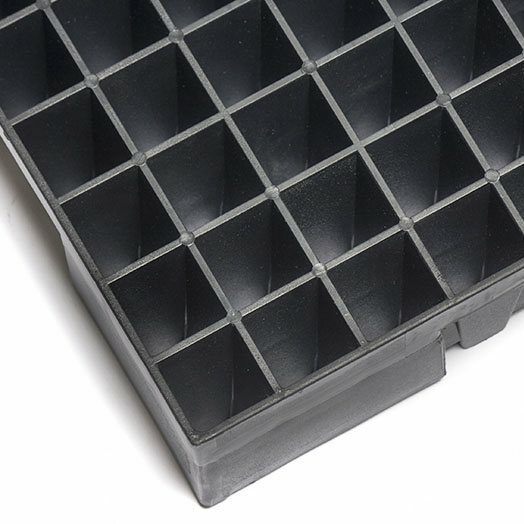 We have never been satisfied with the flimsy plastic propagation trays that dominate the nursery industry, because of the garbage they create, the difficulty of moving trays in the greenhouse, the challenge of removing plugs, and the overall lower quality starts they produce. 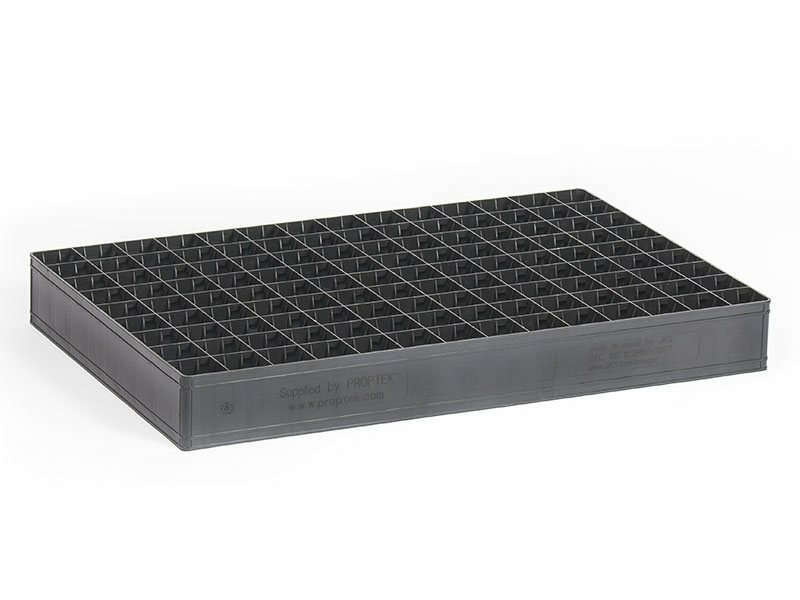 We were thrilled to discover Proptek trays last year and now use the 144s for nearly all of our vegetable start production. 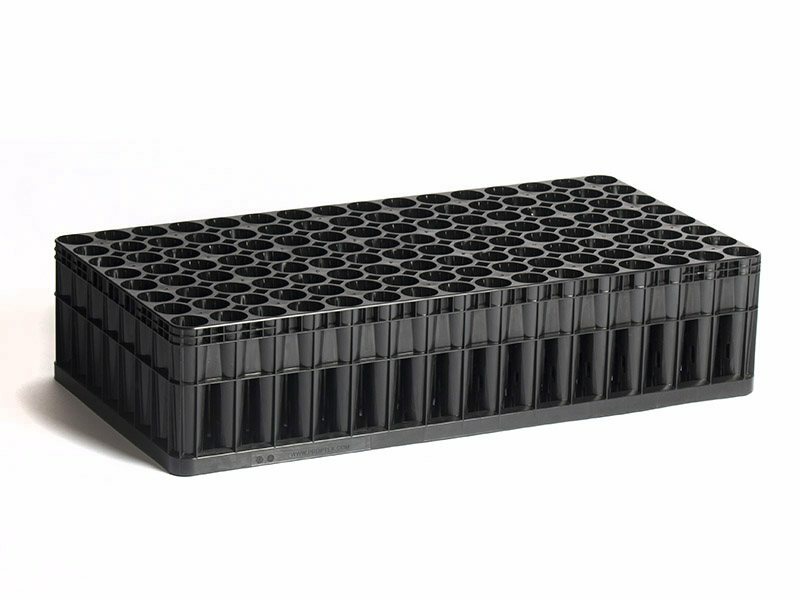 The smooth, tapered plug design makes transplanting fast and easy, and the quality of our plants has been excellent. Best of all, they are extremely durable. 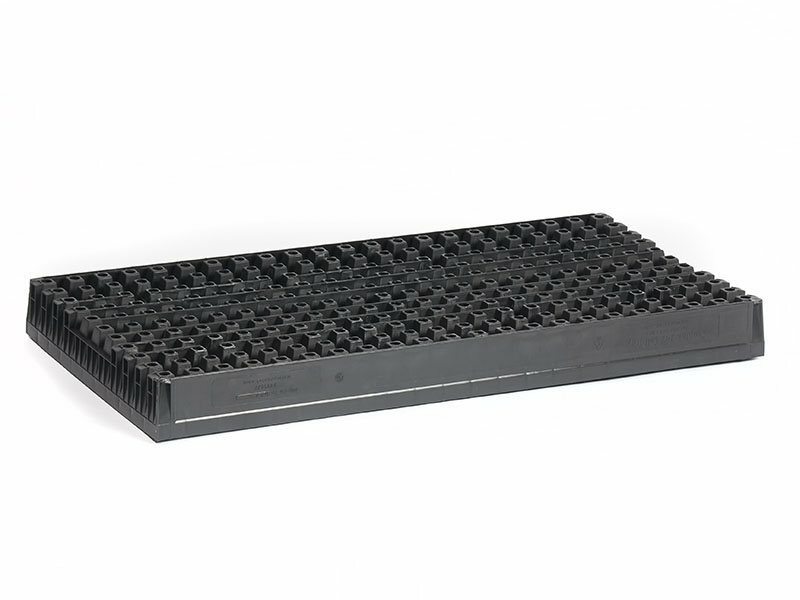 I fully expect we’ll still be using the same trays in a decade, and beyond. 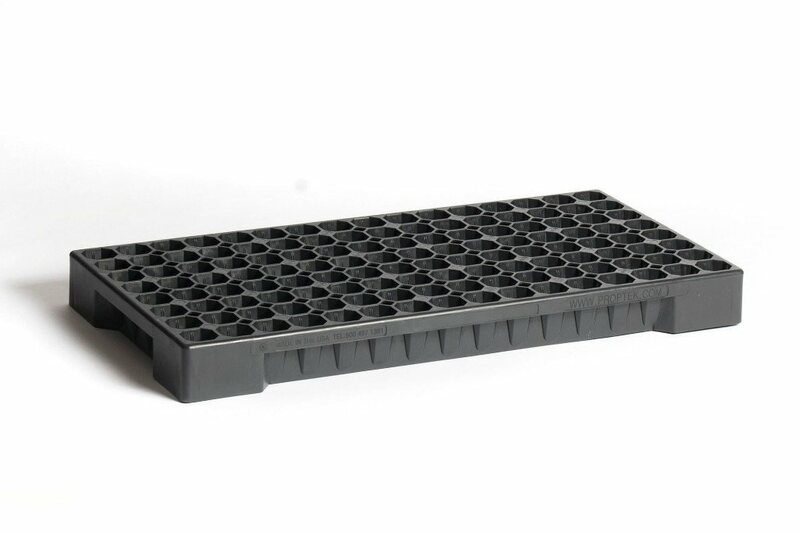 The folks at Proptek worked with us to fulfill a group order for a handful of organic farmers in the Pacific Northwest and every single farm has been impressed by these trays so far. Thank you Proptek for designing a quality product that meets our farm’s production needs and will stand the test of time.